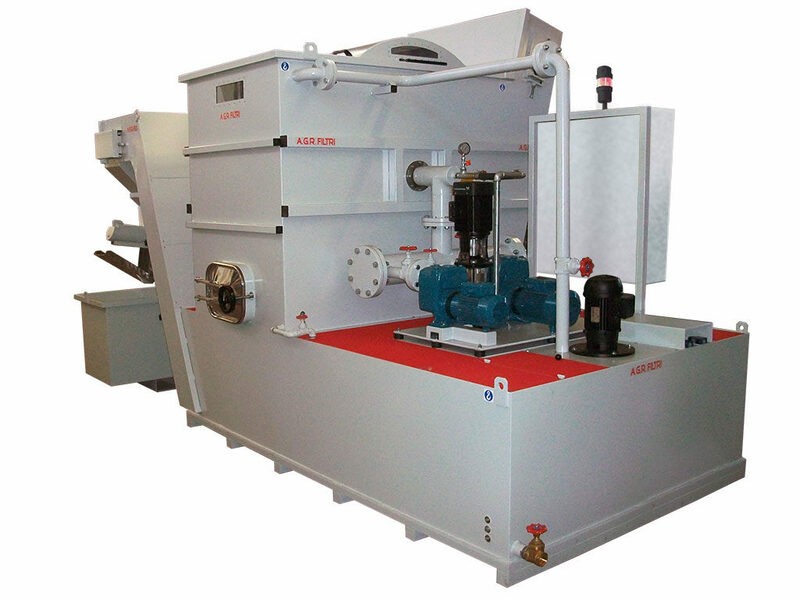 This system is used to filter 3-4% emulsion used by a lapping machine, contaminated by carbon steel in particle form, without the use of filtering fabric. 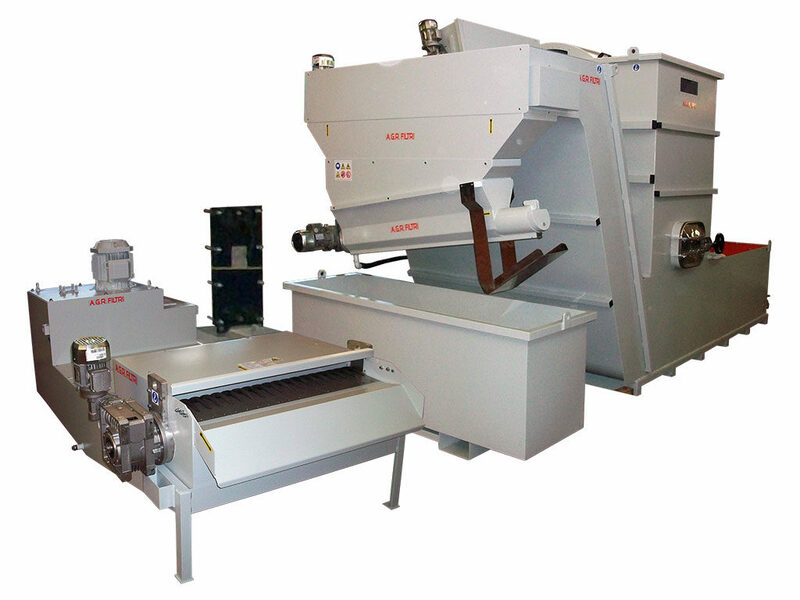 The AGM series magnetic separator is connected directly to the lapping machine outlet to pre-filter ferrous particles from the emulsion. The pre-filtered liquid is sent to the TR series dredged tank where it is further processed for decanting. Here, another pump sends the liquid into the AU series self-cleaning filter where the filtration occurs. 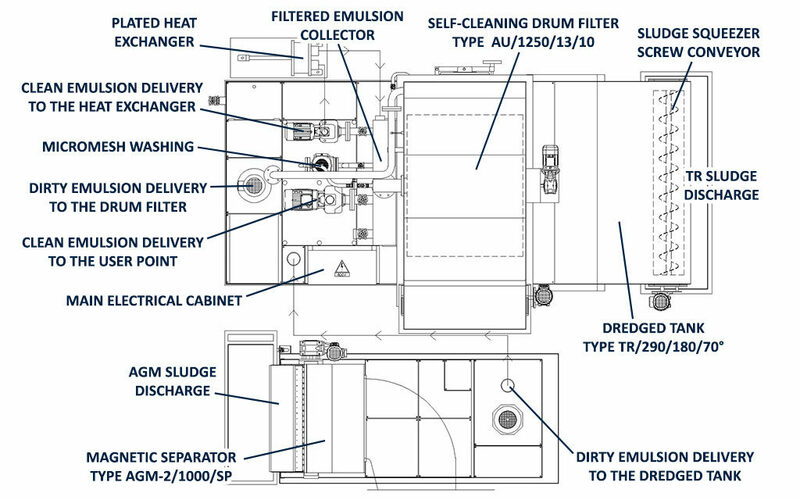 The sludge falls onto the self-cleaning filter again in the dredged tank below while the clean liquid is collected in a collection bin and recycled by a pump. At the same time, another pump sends clean liquid into the heat exchanger and to the collection bin while a high-pressure pump cleans the micro-mesh filter. The electrical panel automatically controls all the system functions and is connected to the lapping machine control panel for remote management.